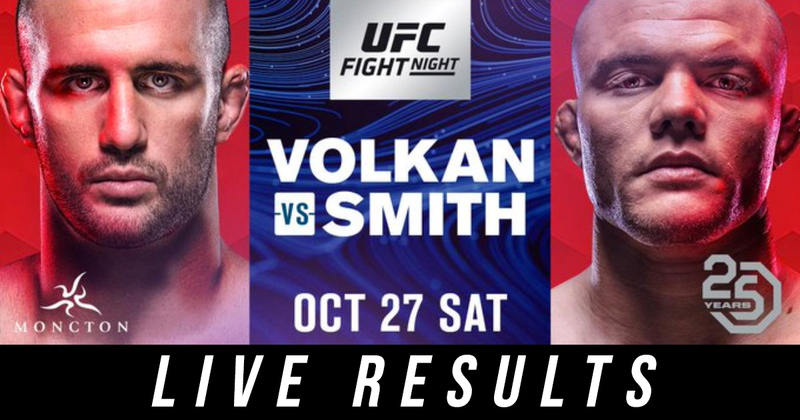 The main event of the evening will be a Light Heavyweight clash between #2 Volkan Oezdemir (14-2-0) and #9 Anthony ‘Lionheart’ Smith (30-12-0). 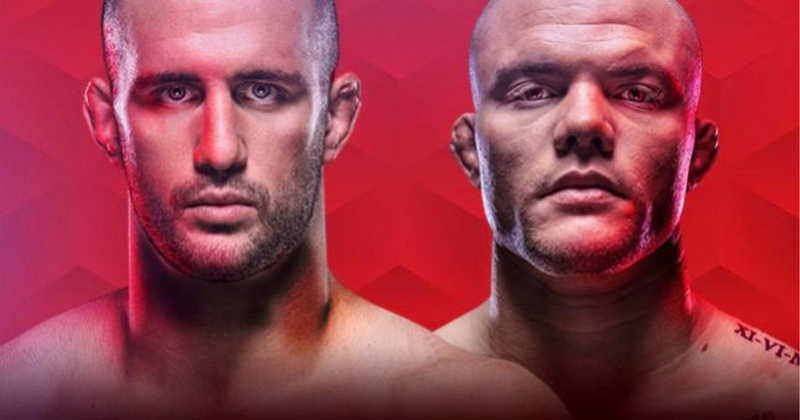 Oezdemir was on a three-fight winning streak before failing to take the Light Heavyweight belt from Daniel ‘DC’ Cormier (21-1-0-1NC) in the co-main event at UFC 220: Miocic vs Ngannou at the TD Garden in Boston, Massachusetts in January 2018. Opponent Smith has been very active in 2018 – this will be his fourth UFC appearance this year, coming off wins against Mauricio Rua (25-11-0) and Rashad Evans (19-8-0) both by KO. The co-main event is a featherweight bout between Michael ‘The Menace’ Johnson (18-13-0) and Artem ‘The Russian Hammer’ Lobov (13-14-1-1NC). Michael Johnson‘s last fight was a split decision victory against Andre Fili at UFC Fight Night 135: Gathje vs Vick in August 2018. Lobov is coming off two straight decision losses against Andre Fili (18-6-0) and Cub Swanson (25-10-0), both in 2017. He was scheduled to fight against Alex Caceres (14-11-0) at the Barclays Centre in Brooklyn, NYC in April 2018 but was removed from the card due to his participation in the widely reported bus incident involving Lobov, Conor McGregor and Khabib Nurmbagomedov. Scottish veteran Stevie ‘Braveheart’ Ray will be making his 9th appearance in the Octagon this Saturday when he faces Jessin ‘Abacus’ Ayari in a 3-round Lightweight bout. Ray, fighting out of Higher Level MMA in Whitburn, Scotland, is coming off a decision loss against Kajan Johnson at UFC Fight Night 127: Werdum vs Volkov back in March 2018. 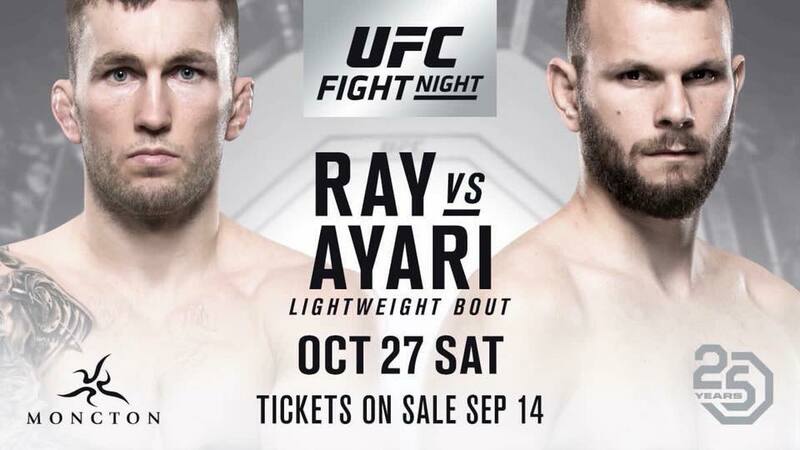 Hoping to get back to winning ways against Ayari, who fights out of Hammers Team in Nuremberg, Germany, both fighters interestingly have 8 submission wins in their record, so there’s a good chance this fight will get taken to the ground. What are the viewing times in the UK?